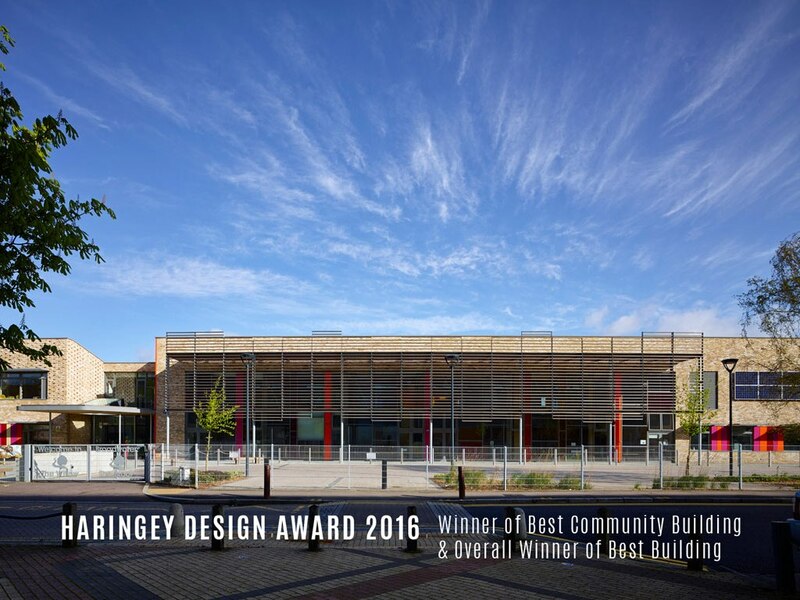 19.10.16 Broadwaters Schools win best Community Building and Best overall building in Haringey Design Awards. Broadwaters Inclusive Learning Community is a rare example of a shared learning environment where SEN and mainstream groups come together for lessons, facilities and experiences. It represents a new and inspiring piece of Community Infrastructure. The school completes a masterplan for this key site opposite the Broadwater Farm Estate – a process which began with Gollifer Langston’s Children’s Centre in 2008. It replaces Broadwater Farm Primary and two Special Needs Schools, around which the new building was carefully planned constructed.